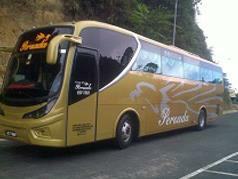 Persada Travel & Tours is a popular bus company headquartered in Sungai Petani, Kedah. Persada Travel & Tours is well-known in providing bus services from Northern region to various locations within Peninsular Malaysia. 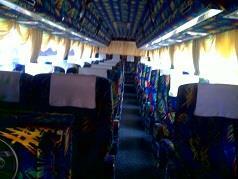 Persada Travel & Tours main bus services are bus trips departing from Parit Buntar. The most popular bus routes provided by Persada Travel & Tours are bus from Parit Buntar to Kuala Lumpur, Hentian Duta, Shah Alam, Kajang, Klang, Malacca and Seremban. All the express buses deployed by Persada Travel & Tours are fully air-conditioned and have reclining seats including spacious leg space to allow passengers to be seated comfortably during the journey. By joining BusOnlineTicket.com, Persada Travel & Tours now offers an online booking service for everyone to book your bus ticket online!